Kara has always been a great blogger. I've been following this Florida native for a while now because her blog showcases a ton of variety in her posts--from DIYs to Bloggers of the Month features. She's as creative as it gets, and it's written all over her looks and even her nails. Check out her menswear inspired fitted blue jacket that she rocks so well! What do you think of Kara's look? And the super awesome shoes in the last one. I love these laid back but classy looks, very nice. Great pick! Kara is one of my favorites - so stylish and creative. Yay!! I'm so excited that you chose Kara. I love her, she really has amazing style, and she is SUCH a sweetie!! That floppy hat is so greaat! 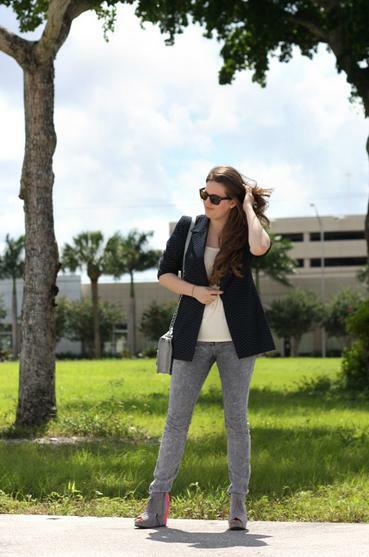 I love how she styles her blazers! cute! 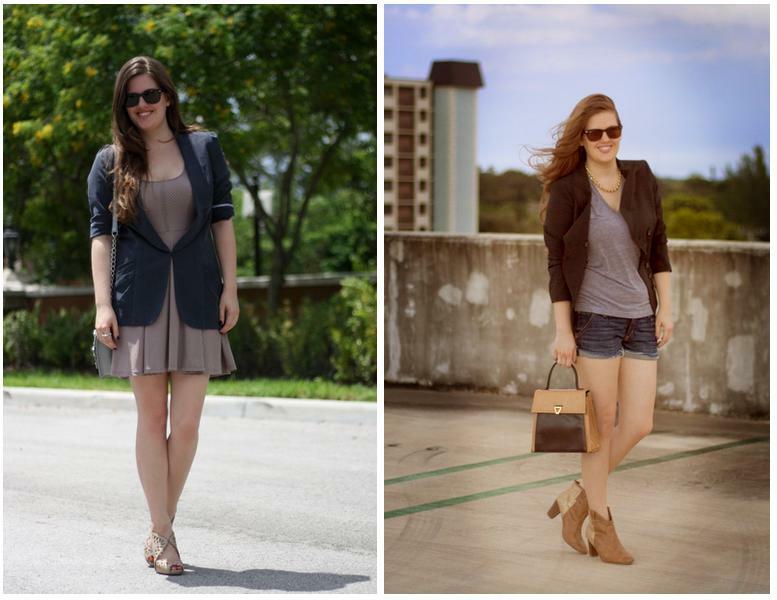 i like the blazer/shorts outfit1! It's nice to see Kara being featured- she's so good at writing and creating her Blogger Spotlights. I love her almost Cali-style and best of all her bright Florida smile! I really like her blog too. Her diy's are fun and easy. Yay She is so awesome!!!!!! Love all these styles especially the first one! great looks! 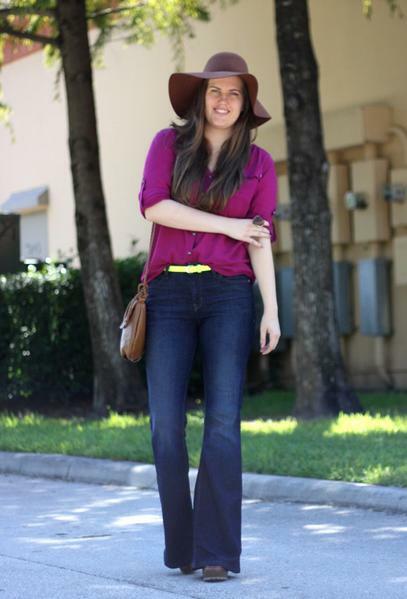 love the flare jeans! Her shoes are amazing in every picture. Gahhhhh. I want to raid her shoe collection like whoa right now. Is that a hint of pink i see on those grey booties!? They look amazing! And I love a blazer so think she looks great! I am impressed with her style! She looks amazing in every outfit! aww Kara looks gorgeous, love her blog, and her looks are divine! Love love love the heels in the last shot and the 70s-inspired first look. It's amazing. I'm digging the way she layers.